The simple concept behind the Glo-ball family of lights is to obtain the maximum diffusion of light. 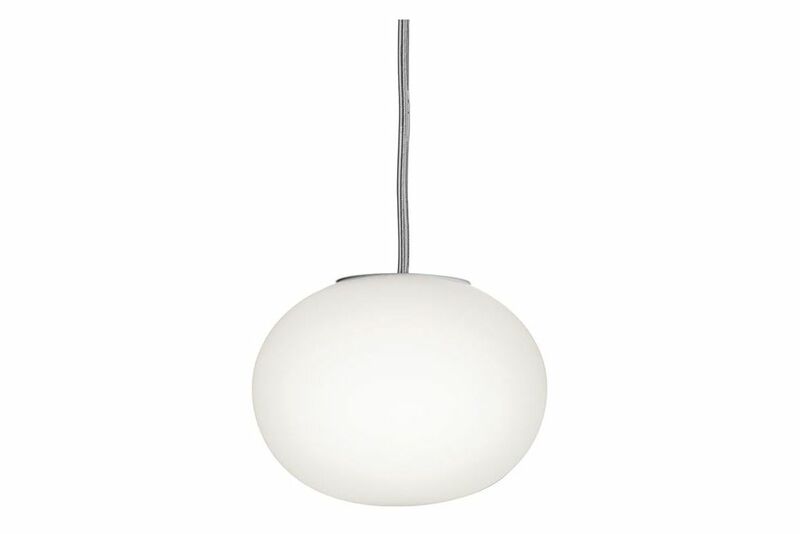 This is achieved by the use of hand-blown, etched white opaline glass. The form: a flattened globe appears, like the moon, as a flat disc when illuminated. Jasper Morrison was born in London in 1959, and graduated in Design at Kingston Polytechnic Design School, London (1979-82 BA (Des.)) and The Royal College of Art for Postgraduate studies (1982-85 MA (Des.) RCA). In 1984 he studied at Berlins HdK on a Scholarship. In 1986 he set up an Office for Design in London. Today Jasper Morrison Ltd. consists of three design offices, a main office in London and two branch offices: one in Paris (opened 2002) and one in Tokyo (opened 2007). Services offered by Jasper Morrison Ltd. are wide ranging, from furniture to tableware and kitchen products and lighting, electronics and appliance design, designs for public space and more recently watches, clocks & shoes. In 2005, founding of Super Normal with Naoto Fukasawa. In June 2006, first Super Normal exhibition in Tokyo.